At Infonex Technologies we have the answers for clients with diverse questions regarding how and where to integrate their Strategic Consulting. For our clients who know where they're going, we at Infonex Technologies know exactly how to take them there. 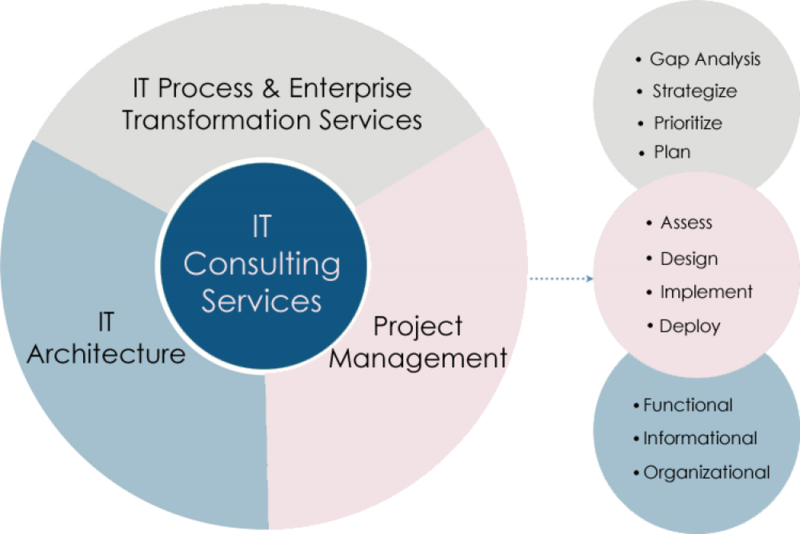 Our IT Strategy professionals offer top level consulting solutions customized to our clients needs. Together with your senior executives, we establish the right set of IT investments for supporting current corporate strategies today while checking those investments for maximum future results. We bring together the combination of reliable technologies, proven methodologies, and best practices that create the solutions you need to achieve and sustain measurable results. Our team of technology and process experts gathers insight and information from your enterprise to implement business solutions that yield quick and sustainable returns. Our end-to-end solutions can empower your organization to reach key strategic objectives. Controlling costs while providing higher-quality service requires innovative changes to the way you do business. Infonex’s senior consulting professionals have the real-world experience to advise and support you through these changes and help your team thrive in the current legal environment. Our consulting practice is built on the real-world operational experience of our transformation consultants and subject-matter experts. Infonex Staffing Services has been helping our clients find the best fit quickly and cost-effectively. It doesn’t matter if you’re looking for one worker, several or an entire team, Staffing Services can provide you with appropriately skilled consultants to augment your project team. We take recruiting and hiring seriously! Infonex is proficient in providing technology focused resources and we enable competitive advantage to our business partners by identifying key professionals quickly. This is achieved by using our own “Screen and Submit” methodology. We will work to understand your requirements and deliver the resources that best meet your need, helping improve quality of resumes submitted. In keeping with our commitment to provide our clients with comprehensive staffing solutions through specialization, Infonex exclusively recruits IT specialists. Our recruitment team continuously work towards supporting many customers and on this go, we have been ear marking some of the best professionals at various skills and levels with an aim of supporting our customers at a must faster speed. Industry knowledge is as important as the technical know-how. Let our domain experts answer your real business challenges. Leverage our proven recruitment and talent management platform to find the right mix of resources for your project. Flexible delivery model that allows talent to be quickly sourced for short-term projects, long-term maintenance and support projects. Our ability to deploy qualified professionals is rivaled only by our deep dedication to service and reliability.